eLearning authoring tool is a program which helps teachers and tutors to create their interactive e-courses quickly. It may include a screen recorder, a video editor and various tools for creating quiz questions as well as some other tools to protect course content and project protection. If you make a quick search on Google, you’ll find out many free and cost effective options to try like ActivePresenter and iSpring Suite as well as other professional but low cost authoring tools like Adobe Captivate or Storyline 360 (now Articulate 360). However, it is not easy to choose the best elearning authoring tools that can suite all of your needs. That’s what I come in today. In today post, I am going to show you top 9 things you need to consider when choosing the best elearning authoring tool for your needs. I will also explain why you need to consider these things carefully to avoid wasting your time and money on unreliable tools. Added to that, at the end of the topic is a short introduction of ActivePresenter 7, the most cost-effective and powerful elearning authoring tool for you to try. In fact, selecting a good eLearning authoring tool isn’t an easy task, especially when you are new to this field. But if you are aware of these things below, you can find a right tool with ease. Let’s take a closer look at each of them. What types of eLearning contents will you create? There are many types of online learning contents out there. Some of them, for example, are presentations, videos, webinars, podcasts, games, simulations, and so on. Understanding your desired eLearning content types is important because each tool has different export capabilities. What is the interactivity level of your eLearning content? According to Founder of the eLearning Industry’s Network Christopher Pappas, there are four main levels of interactivity, including no interaction, limited participation, moderate interaction, and full immersion. Knowing this can help you pick a good authoring tool which best suits your need. Linear or non-linear design, which one do you choose? Non-learner design refers to learners’ freedom of choice in what they want to learn. They can take any entry point and move wherever they like. In other words, they can understand the topic in any order. Meanwhile, in linear design, learners have to follow the topic from the start to the end. On this point, there are two key things. First, most eLearning materials are linear. Second, a few advanced authoring tools support non-linear design. Think about them. Do you need to upload your contents to LMS? Don’t forget to look for an authoring tool that can integrate with LMS, depending on your specific needs. Check to see if the tool allows you to create reports. Thus, you can track the performance and know how to improve your eLearning contents. In a recent review article, PcMag showed that Articulate Storyline 2, Elucidat, and Shift eLearning are the most expensive. 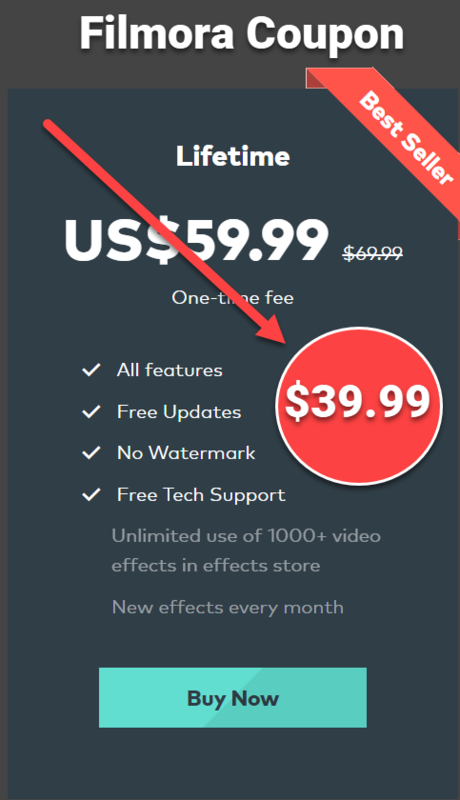 Meanwhile, ActivePresenter or Camtasia Studio has a reasonable price tag. Some other tools are cheaper but they often provide a certain number of basic features without advanced ones. If you want to create professional products, don’t just look at tools with cheap price tags. Some web eLearning tools tend to be less expensive. They are also more flexible because many users can access the tool simultaneously and work together anywhere, anytime. The problem is that you need an Internet connection. The authoring tools which are desktop applications provide a wide variety of functions. ActivePresenter is a typical example. This tool allows you to record screen, edit screencasts, add objects (annotations, interactive objects, and questions), and export projects to many formats. You can use the app to create interactive eLearning contents without breaking any sweat. As I said earlier, ActivePresenter offers a customer-friendly pricing model as well. There are also volume discounts available. Be careful if there is any additional cost in your purchase. It can cost you more than you think. A complex tool can take up much of your time to get familiar with its user interface (UI) and learn how it works. So, it’s better to choose an “easy-to-use” eLearning authoring tool. Have a consistent and standardized UI throughout all screens. Offer snapping objects to each other or to the Canvas. Easy to install, configure, learn, and use. Perform functions in a simple and intuitive way. Provide error messages and diagnostics that aid in troubleshooting. They should be clear, specific, and understandable. Using types of media like video and audio can make your eLearning contents more engaging. Thus, you should pick an authoring tool which supports this feature. Go through the checklist below and make sure your desired app can support all items in this list. Insert audio and video files from file system. Record video, audio and voice narration. Check to see if your selected tool allows recording video demos and/or software simulations. Set audio to launch based on learners’ actions. This is like the event-action mechanism in some authoring tools like ActivePresenter. Support common media file formats like MP4, MKV, AVI for video, MP3 and WAV for audio. Offer transition and animation effects. If any app provides a few of these features, you should consider it before buying them. So, you could save yourself a lot of time and money. Using themes, templates, and other resources can shorten your time spent on designing eLearning contents. Some authoring tools like Elucidat offer a dozen of themes to choose from. However, they have some disadvantages. That is, templates possibly don’t satisfy you or your eLearning may look like everyone else’s. So, it depends on you. If you don’t want to create an eLearning content from scratch, go with the authoring tools which offer built-in resources. 6. Free Trial or Not? Buying an authoring tool without taking its free trial puts you at risk. The reason is that there is nothing sure this app will serve all your needs. For that reason, you should choose an app which offers a trial period, often lasting 30 days. This gives you enough time to get a feel of the UI and capabilities. So, you can make a bold decision about whether you should buy that app or not. Learners need feedback. Hence, you should pick an eLearning authoring tool which offers reports and assessments. Offer feedback messages like correct, incorrect, hint, and timeout ones. They are immediately shown on the screen when learners submit their answers. Allow creating question banks or question pools to design random quizzes. Allow configuring the number of tries allowed for tests, quizzes, or questions. If you’re a trainer in a global organization, eLearning localization may be the answer. It’s also useful when you want to make your eLearning contents accessible to everyone all over the world. A common standard that allows translation from one language to another is XLIFF. This XML-based format standardizes the way localizable data passed between tools during a localization process. Some authoring tools like ActivePresenter make localization very easy to work with. They are worth your consideration. Reliable documentation is now a must since it creates the value for developers, apps, and even users. So, if an app doesn’t support any type of documentation, it’s hard to see it as a professional app, no matter how powerful it is. Imagine you are trying to create a quiz but you don’t know how to use events and triggers. Then, watching tutorials or reading help guides is a good solution. Even you are a pro eLearning designer, you still need them to solve your problem at times. Besides, an active online community is also a thing that you should look for. Because the support team can give you a quick explanation about your problem and show you how to fix it. Support many types of documentation including tutorials, demos, and user manuals. Offer help desk support options like email, chat, and telephone. Offer online forums/communities for support. Have a low average turn-around time for help desk support. Now you know all factors you need to consider when choosing an eLearning authoring tool. Remember that spending time on this process can actually turn out to be cheaper in the long run. Your time is your money, so don’t waste it! ActivePresenter 7 makes the recording process plainer with only two recording modes: Video Demonstration and Software Simulation. Simpler to record screen and easier to edit video like a pro. Webcam Recording: Record screen and webcam at the same time or separately, all depending on your need. Transition & Animation Effects: Liven up your contents with more engaging transition and animation effects. Advanced Audio Editing: Remove unwanted noise and fade audio with a few clicks of the mouse. Better Video Compression: Create pro-quality videos with small file size. A more advanced eLearning Authoring Tool: ActivePresenter 7 makes the recording process plainer with only two recording modes: Video Demonstration and Software Simulation. Simpler to record screen and easier to edit video like a pro. Responsive Design: Design fully-responsive, mobile-ready eLearning contents with ease. Multi-State Objects: Develop interactive content easily with one single multi-state object rather than multiple objects. Themes & Templates Create reusable themes and templates or choose the best one from available resources. Variables & Conditional Actions: Easier to work with events and conditional actions. Scenario branching can be done with a few clicks. HTML5 Preview: Quickly preview your interactive contents in web browser with a single click. Web Fonts: Use web fonts to design beautiful and consistent contents. There are also many other new features and enhancements. Explore it yourself! It is totally free to download and try. What is your choice? Let us know when you have a final decision. For those who love ActivePresenter, download it and show off your skills. Using ActivePresenter, you will never feel disappointed for sure. Screen Recorder: How To Choose and 9 Best Tools You Can Try Now!